Imagine Dragons are one of our favourite bands to see live in concert because they always BRING IT. Remember that performance at the Grammy’s with Kendrick Lamar? 1. The band’s name is actually an anagram! 2. Dan Reynolds’ shares three kids with, Aja Volkman, who is also a singer. In fact, she was the lead singer in a band called Nico Vega. Volkman was last reported to be working on a solo project. 3. 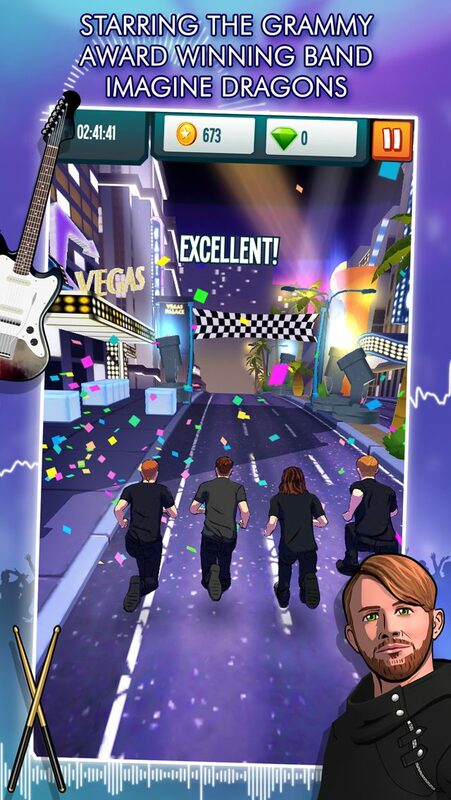 Stage Rush: Imagine Dragons is the band’s very own iPhone game! It has players run through Las Vegas (where the band is from!) and Paris as members of the band, while unlocking new levels. 4. Dan didn’t attend Berklee College of Music. 5. “It’s Time” was written by Dan in his kitchen, as he was dealing with depression. Don’t forget to check out the band’s latest album below and let us know why you love them @umusic! Umusic Friday: Chris Stapleton, Niall Horan, Halsey & More!